Pefkos (Pefki) As a relatively low profile beach resort area, Pefki (Pefkos) is made up of smaller hotels and rooms to let. The pines stand tall above the buildings, as you look back towards the shore from any of the chair of sandy coves. Kalavarda is a farmers village on the western coast of the island. It is situated on a clean sand-and-pebbles beach which offers some of the most beautiful sunset views on the island. 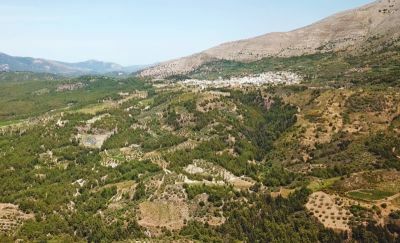 From the village you can visit the ruins of ancient Kamiros, the valley of the butterflies and Profitis Ilias. 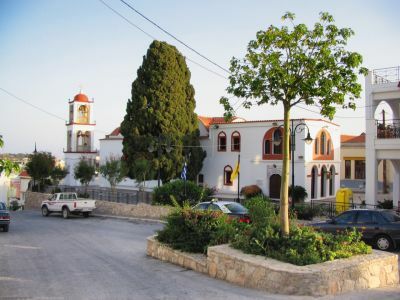 The community of Kalavarda comes under Kamiros council and numbers over 500 inhabitants. The surrounding area has many local cottage industries and small ceramic manufactures, cattle farming and agricultural products, mainly citrus fruits, cereals and oil. 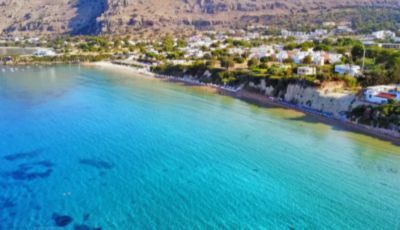 The setting is completed by the presence of the imposing peak of Profitis Ilias and the walking paths are excellent for hiking or mountain biking. You may be lucky to spot one of the Rhodian deer which frequent these lush woodlands. Kalavarda attracts the more discerning person whose aim is to get to know the locals, their traditions, ways and cultures. 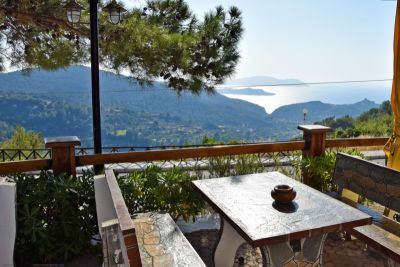 A relaxing holiday away from more touristic areas but close enough to nature to enable long hikes in the mountains, delightful swimming in crystal clear waters and excellent gourmet meals at one of the local taverns.